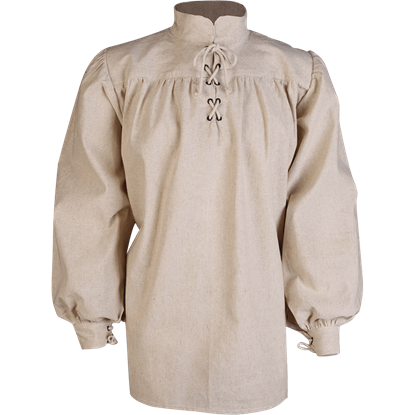 A wide variety of characters from many historical eras would benefit from the classic style and authentic feel of the Ansgar Linen Shirt. 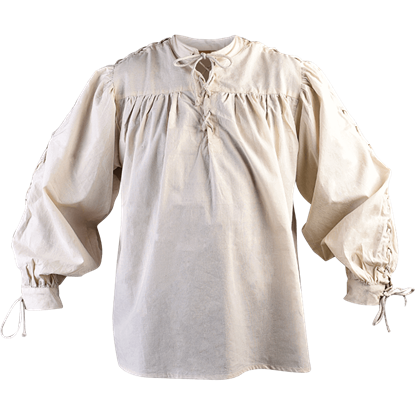 Made from a linen-cotton blend, this historical garment is perfect for the hot days of summer. 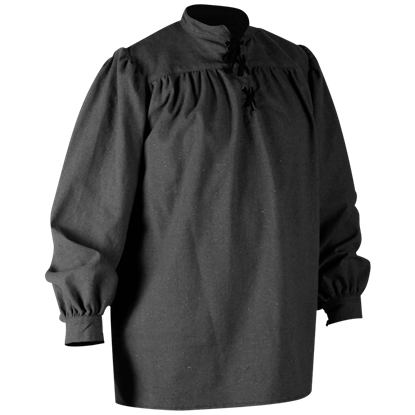 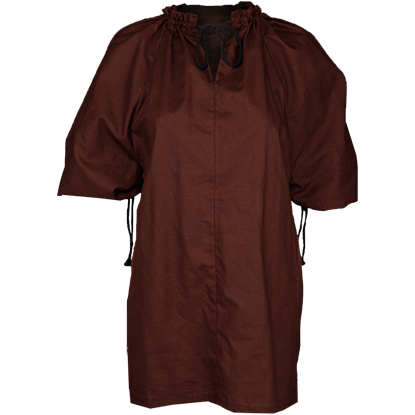 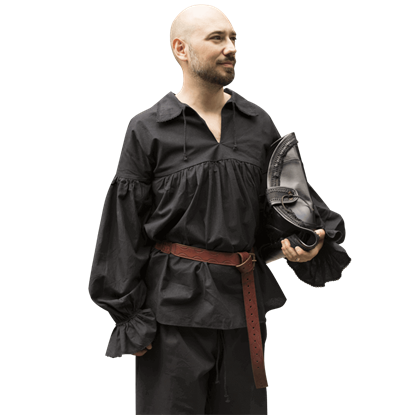 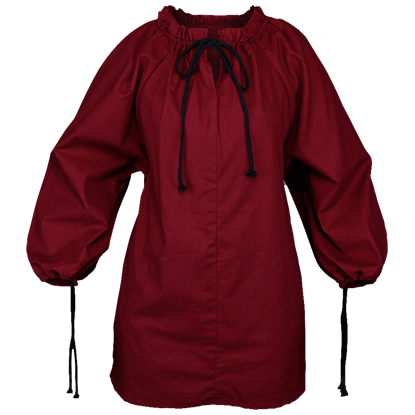 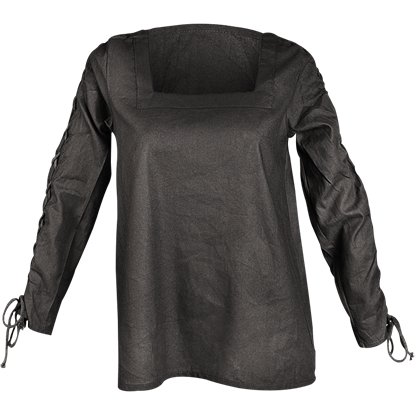 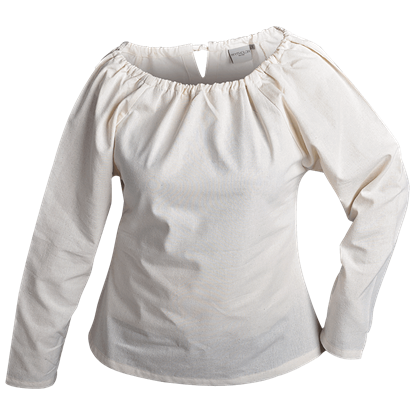 A versatile piece of apparel for men or women, the Ansgar Shirt serves as a solid addition to any medieval wardrobe. 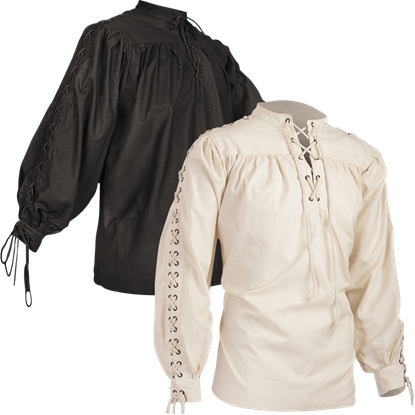 The period shirt features wide cuffs at the ends of the slightly puffed sleeves and a high collar that laces.